Options for window mounted signs are many and varied. For example, a frosted window graphic is easily applied and can instantly transform your premises, giving maximum brand exposure whilst providing privacy. Window signs are also fantastic for one off or seasonal promotions when you want to increase footfall. For Sunkissed, frosting behind the lettering has two benefits: it provides some privacy to those working behind the sign and creates a strong contrast between background and lettering. 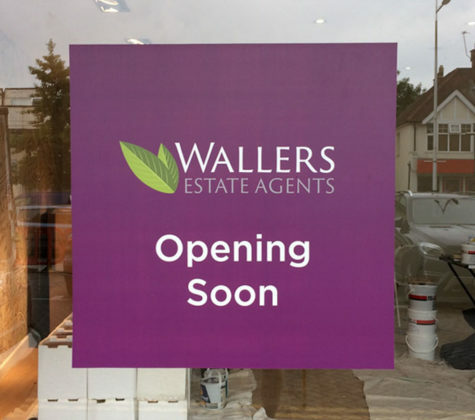 Wallers required a temporary solution to promote their new business location whilst their premises were being refurbished. Design options and uses for window signs really are endless! 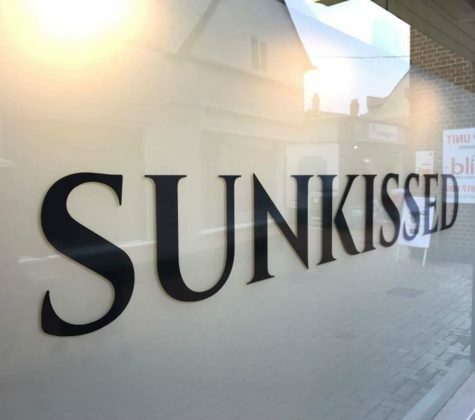 The quality of finish on a vinyl window sign is very high definition and so small detail can be translated into as window sign very effectively.